How to Decide a Chinese Name for My Child? 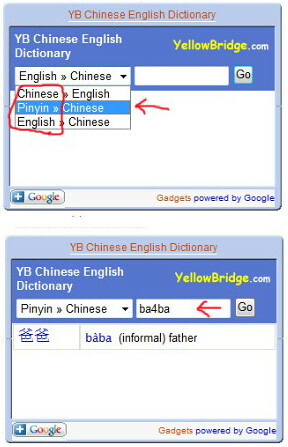 If you know the pinyin (sound), and want to choose a character for it, you can use YB Chinese English Dictionary. Select “Pinyin >> Chinese” first, then type pinyin on it. It will show you the Chinese character and English meaning. Here’s a little practice: please type “ai4” and see what it says in English. I am going to give your kids one or two Chinese names. Please look up the meanings with your kids. 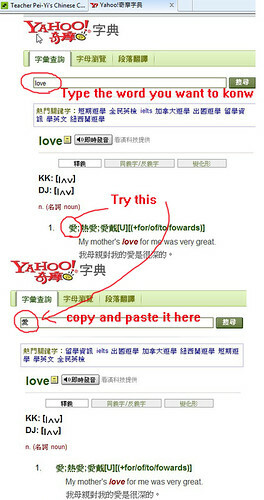 You are welcome to make your own Chinese names, just let me know what they are (you can copy-and-paste the characters if you have them). We are going to use Chinese names in the class. Next Entry: How to Read the Tone Marks? Next Entry How to Read the Tone Marks?